Day 7 : The Secret Career Tactic of "Lock In"
Day 32: How to Explain "Job Hopping"
Day 35: If My Boss Gets Mad at Me or I Get a Poor Review, Does This Mean I Should Look for a New Job? now, I will throw in a consultation FREE of charge. You can drain my brain for nothing. Zip. Nada. For MasterCard or Visa, it's the last three digits in the signature area on the back of your card. For American Express, it's the four digits on the front of the card. Yes, I want to try the Career Transformation System Now. Created by Steve G. Jones, an expert clinical hypnotherapist, these MP3 provide you with great motivation for your career. 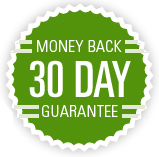 If you aren't satisfied with The Career Transformation System, you can request a full money back guarantee within 30 days. 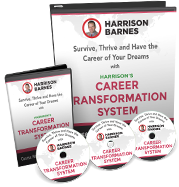 That means you'll get to keep the Career Transformation System and get all of your money back.